Avant Gaude artist IAMX will be hitting the Great American Music Hall this spring for their “Alive in a New Light tour. IAMX will be joined by special guest Kat Von D on May 7th so et ready for a show that pushes all social limits! 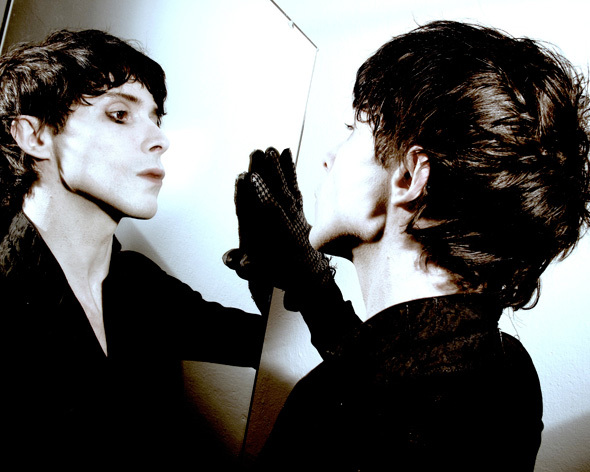 IAMX creates music that disrupts classic gender norms and pushes self reflection. Chris Corner, the lead of IAMX has transformed from a small-town boy to an international pop star. He is androgynous, theatrical, and transcendent, because he is focused on his music being an undeniable art. IAMX has recently released the single stardust” which features Kat Von D, off of his new album “Alive in New Light”. Kat Von D will be joining IAMX on only a few tour dates, including San Francisco. Make sure you buy your tickets for IAMX featuring Kat Von D for May 7th to experience a progressive and trip-hop filled night!